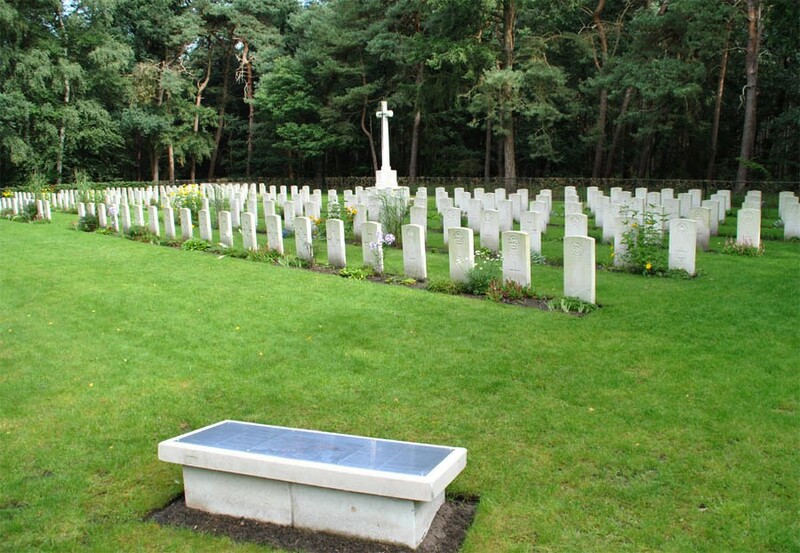 The Valkenswaard War Cemetery is located just south of Eindhoven - very close to the Dutch/Belgium boarder. 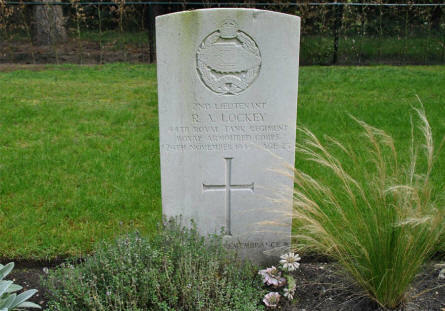 Valkenswaard was the first village to be liberated on the main line of the British advance into Holland in September 1944 - as a part of "Operation Market Garden". The cemetery holds the graves of 220 British soldiers that were killed in the battles near Valkenswaard. 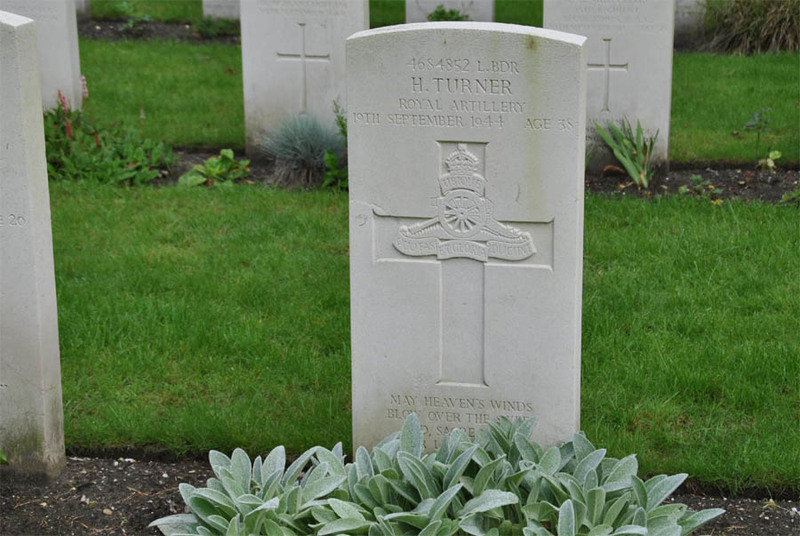 The grave of H. turner at the Valkenswaard War Cemetery. 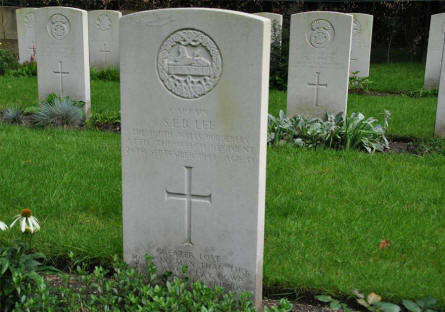 Killed in September 1944. 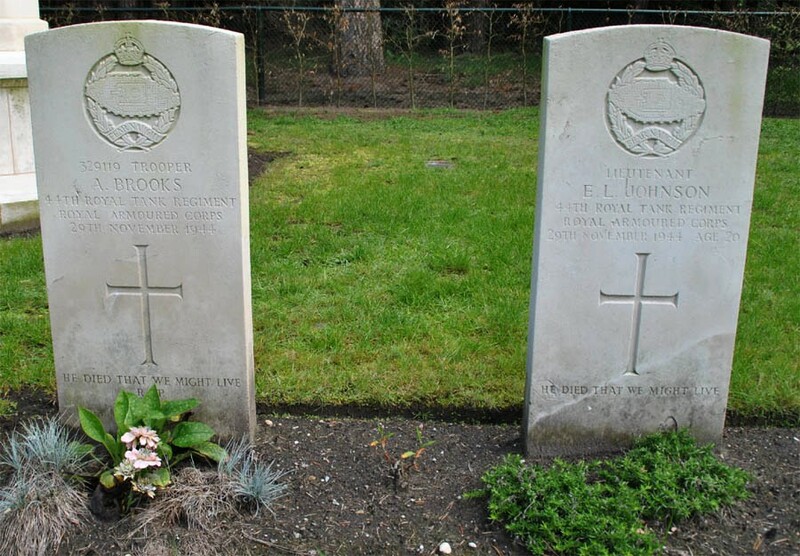 The graves of Lieutenant E. L. Johnson and Trooper A. Brooks of the Royal Armoured Corps at the Valkenswaard War Cemetery. Killed in November 1944. The entrance to the Valkenswaard War Cemetery. The grave of Captain S. E. B. Lee at the Valkenswaard War Cemetery. Killed in September 1944. 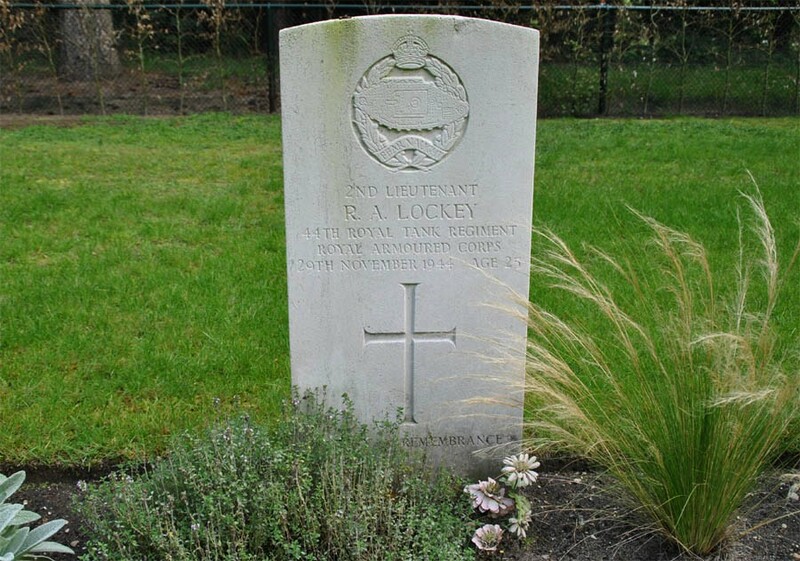 The grave of Lieutenant R. A. Lockey of the Royal Armoured Corps at the Valkenswaard War Cemetery. Killed in November 1944. 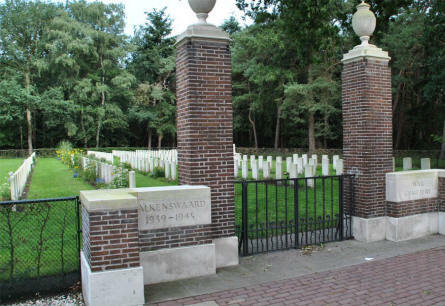 A section of the Valkenswaard War Cemetery.